We none of us want to fail. Failure is humiliating, discouraging, and painful. Surprisingly, however, there are blessings that flow from failure. God can even use failure to prepare us for greater things. “My flesh and my heart may fail, but God is the strength of my heart and my portion forever” (Ps. 73: 26). Failure strips us of pride. It forces us to recognize the limits of our strength. But if we turn to God, in our distress, He will lend us His strength – strength which, unlike ours, is infinite. “ ‘Blessed are you when they revile and persecute you, and say all kinds of evil against you falsely for My sake’ ” (Matt. 5: 11). Failure teaches us that the world’s evaluation of us means nothing; and God’s evaluation, everything. When Abraham Lincoln took up politics the results were not entirely promising. He was defeated in his first try for the state legislature in 1832; defeated in his first attempt to be nominated by his party for Congress in 1843; defeated in his application to be Commissioner of the General Land Office in 1849; defeated as a potential nominee for the vice-presidency in 1856; and defeated in attempts to secure a seat in the U.S. Senate, both in 1854 and 1858 . Lincoln is today recognized as one of the greatest presidents in American history. “He only is my rock and my salvation; He is my defense; I shall not be greatly moved” (Ps. 62: 2). Failure can crush us, emotionally. It can, also, develop grit in us and harden our resolve. Steely determination is not born of ease. 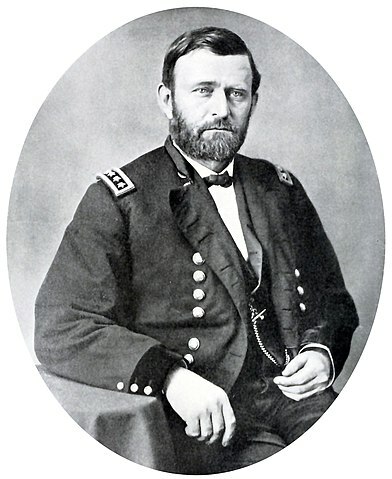 The Civil War general who ultimately led Union forces to victory (and went on to become the 18th President of the United States), Ulysses S. Grant was unsuccessful at every civilian occupation he tried before the war. The farm Grant was given by his father-in-law failed. Grant sold firewood on street corners to help make ends meet. Unsuccessful as a bill collector, Grant was working as a clerk in his father’s leather goods store when the Civil War began. Ranked squarely in the mediocre middle of his class at West Point, Grant broke the Confederate hold on the Mississippi River by capturing Vicksburg after a siege. Despite heavy casualties, Grant (who was called a drunkard and a butcher) not only stood his ground at “bloody” Shiloh, but doggedly pursued Robert E. Lee until the Confederate commander surrendered at Appomatox, effectively ending the war. “…[W]e also glory in tribulations, knowing that tribulation produces perseverance; perseverance, character; and character, hope” (Rom. 5: 3-4). Few of us long for obstacles. We would prefer our path through life to be smooth and effortless. Obstacles may lead to failure. They may, also, lead to success. Two of mankind’s greatest poets, Homer (peerless author of the Iliad and Odyssey) and John Milton (author of the epic Paradise Lost) were blind. Ludwig van Beethoven wrote five of his greatest symphonies after going deaf. On his first audition, the acclaimed Sidney Poitier was told by a casting director, “Why don’t you stop wasting people’s time and go out and become a dishwasher or something?” In 1964, Poitier became the first black American to win an Academy Award for Best Actor, in the film Lilies of the Field. Paradoxically, what failure ultimately instructs us in is faith. Through discouragement, criticism, rejection, and obstacles we learn to trust in God. Despite his trials, Job was able to say: “Though He slay me, yet will I trust Him” (Job 13: 15). May we all be so blessed. Election to the US Senate was not by direct popular vote at that time. Senators were appointed by the state legislature. In 1854, Abraham Lincoln expressed interest, but withdrew his bid after 8 inconclusive ballots by the Illinois legislature, to prevent a pro-slavery Democrat from gaining the position. In 1858, the Republican Party – of which Lincoln was by then a member – failed to gain control of the Illinois legislature. Additional details of Lincoln’s career (as verified by Snopes) may be found at http://www.snopes.com/glurge/lincoln.asp. Thank you so much! I’m glad it struck a chord with you. Anna this is a great article. I love this. Thank you so much, Nicodemas! Thanks for checking out my blog! I look forward to reading more of yours. I love your Biblical perspective of failure, Anna. We are allergic to the idea but it’s faithfulness, not success, we should seek of ourselves. Yes, exactly. Success is a very American value. Not that anyone wants to fail, of course. But there are worse things. I so needed this at this season in my life.Thank you for these kind words of encouragement. Though failure is a source of discouragement, it’s also the greatest tool to drawing us close to God. It builds and strengthens us in great ways. Great post!